SPECIAL OFFER: If you tip/donate extra on top of the base sale price, you can get an additional free custom copy of the game with your own name. Details on how to take up the offer are displayed after you complete the purchase. Buy Now button at the bottom of this page! 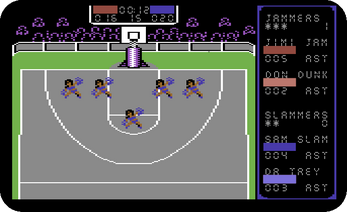 Jam It is an arcade style 2-on-2 basketball game for the Commodore 64. 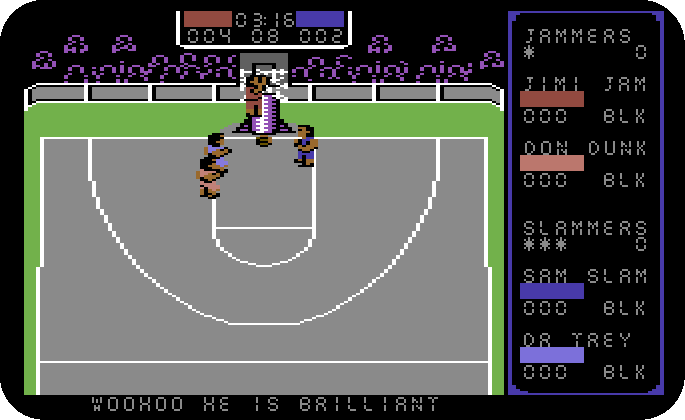 You can also play it on your PC/Mac/Console/Handheld/Phone using a C64 emulator! Do you get confused by complex button combinations in modern basketball video games? 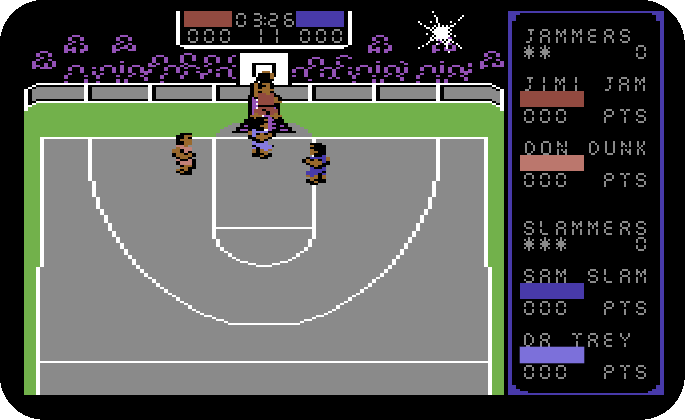 In Jam It, just one button with your control stick is enough to make extreme dunks, jump-shots, blocks, passes, post-up plays and steals! 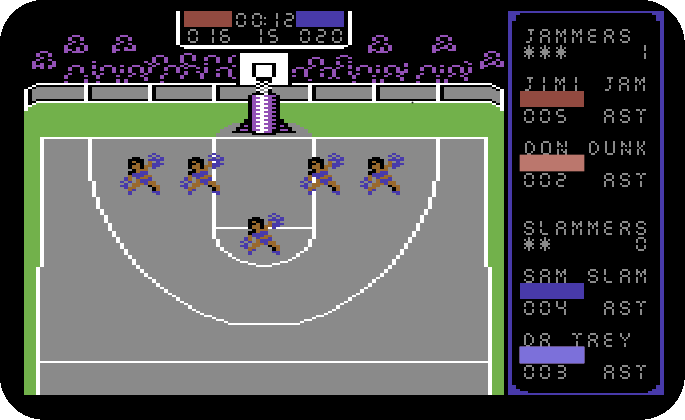 Featuring the most intense sports action and entertainment ever crammed into 64K! ^ Note: The Vice emulator can be configured for 4 controllers (see instructions included with download package). Commodore 64 requires a Protovision 4 player adapter to support additional joysticks. 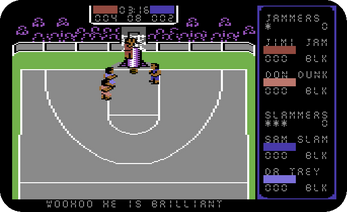 The digital version available here is primarily for use with an emulator, but can also be run on a real C64. For Windows/Mac/Linux users, I recommend installing VICE, as it works on a variety of operating systems and is very user friendly. Still unsure about using an emulator? I'm more than happy to help with any questions you might have with using an emulator even if you haven't yet purchased the game. An emulator is an application that you can download and run on your PC, Mac,Linux, game console or handheld. It duplicates the functions of the Commodore 64, so that it resembles the behavior of the real system. In summary, you download an emulator to your system (computer/ console/ handheld/ phone), run it like you would any other application, then select to run/play the digital download file of Jam It.